Our famous homemade fish and chips is back in a new recipe served with mushy peas, tartare sauce, chunky chips, lemon and side salad. 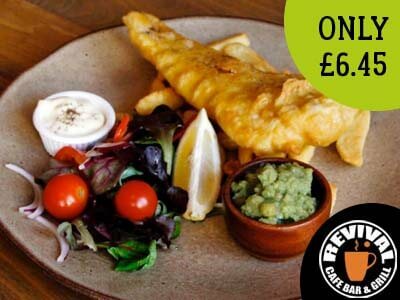 Enjoy for only £6.45 on Fridays! (Usually £7.50). T&Cs apply.